A loaded Money in the Bank pay-per-view card will be highlighted by the contract ladder match itself. IT’S ALL ABOUT THE MONEY! The annual WWE Money in the Bank pay-per-view event will go down live this Sunday, June 17, from Allstate Arena in Chicago. This is the first time since 2016 that both the RAW and Smackdown brands will be represented on the card, with the WWE switching back to co-branded PPV’s following Wrestlemania 34. 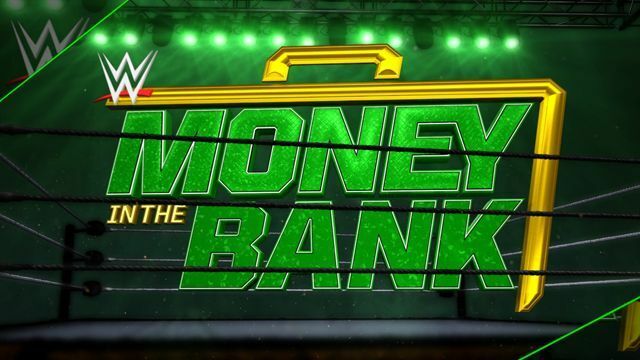 With two contract ladder matches and five championship matches on tap, this year’s edition of Money in the Bank promises to be memorable. Here is the preview, along with predictions for every match on the card. 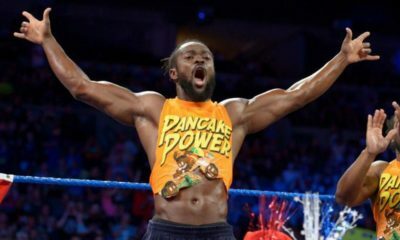 The only mystery left heading into the match that gives the entire event its namesake is which member of the New Day will be participating. While my inkling leans heavily toward Big E, I obviously don’t anticipate a New Day member winning the whole thing. 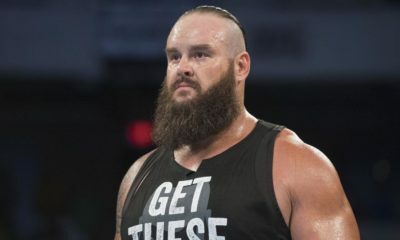 Braun Strowman is the clear favorite, especially after surviving a Kevin Owens frog splash from the top of the ladder and finishing moves from both Finn Balor and Bobby Roode in the RAW main event this week. But as long as Brock Lesnar is the Universal Champ, I can’t see the contract going to the RAW brand. That leaves The Miz, Rusev, and Samoa Joe from Smackdown. As wonderful as a Rusev Day celebration would be, I have to go with the man who has been on a mission throughout the buildup. The Women’s divisions of both RAW and Smackdown will be on center stage at Money in the Bank, both with this ladder match and with the title matches for each respective brand. The second edition of the women’s contract match combines a field of established stars with division upstarts Lana and Ember Moon. While both ladies can put on a show, I don’t see them as serious contenders. The Smackdown women’s locker room is almost too loaded with talent in my opinion to have a big name like Charlotte Flair, Becky Lynch or Naomi flaunting the contract briefcase for the presumable future. Sasha Banks still has a feud to finish with Bayley, and I just don’t see Natalya emerging. A future title match between former RAW champ Alexa Bliss and (dare I say it) Ronda Rousey would be must see. I have gone back and forth repeatedly on this one. This is the third title match between the two, with AJ Styles emerging victorious at Wrestlemania and at the Greatest Royal Rumble in Saudi Arabia (the most oddly timed and marketed WWE event ever). Shinsuke Nakamura tricked a referee on his way to winning a 1v1 matchup on Smackdown to earn the right to add the Last Man Standing stipulation. Styles’ current WWE Championship reign will be at 222 days on Sunday, but it just doesn’t feel like it’s time for it to end. Nakamura has essentially turned into the villain in this feud, with his array of low blows and cocky attitude, but I still see marketing him as champ to be a struggle. The no disqualification rules of this match lead me to be more confident in Styles, as Nakamura won’t have the option to cheat his way to victory. If Styles is able to overcome Nakamura one last time, it will open the door for him to face some of the newly acquired Smackdown wrestlers in the future. Ronda Rousey will be fighting for a belt in just her second ever WWE match. There is no way I can envision her losing. The WWE might have stumbled into a problem with Nia Jax finally getting her 1v1 title shot and winning the championship against Alexa Bliss at Wrestlemania. By size and power alone, she is truly a dominant and “irresistible force” in the RAW women’s locker room. So how to wrest the belt from Jax and give the rest of the locker room a shot? A matchup with Rousey and her lethal arm bar (which she forced Jax to tap to on this week’s RAW) is just the wild card WWE needs to get the title out of Jax’s possession. Call this my upset special of the card! I am rolling with the underdog champion Carmella. The Princess of Staten Island only got her hands on the Smackdown Women’s title because of her victory in last year’s inaugural Women’s Money in the Bank Ladder Match. She successfully cashed in on Charlotte just two days after Flair defeated Asuka at Wrestlemania and has held the belt ever since. Asuka’s lone defeat in the WWE was that Wrestlemania loss to Charlotte. She could easily dominate this matchup, but it almost feels too predictable to me that she will win. That is why I am going in the other direction. If Carmella does indeed retain, don’t expect it to necessarily be within the rules. By my account, Elias is ready to capture his first title in the WWE. He has picked up some quality wins on RAW over upper-echelon opponents, and what better title to start with than the Intercontinental belt. He clearly isn’t the one that the WWE is looking to elevate to the top of RAW just yet. Seth Rollins is a top performer as well, and this match should be epic. A win for Elias could set up a rematch between these two, or free up Seth to aim higher for the Universal belt in the future. Luke Gallows and Karl Anderson have built a nice bit of momentum heading into Money in the Bank. They had to beat the Usos straight up to get a title opportunity. Then, Karl Anderson went and earned a singles victory over one half of the Bludgeon Brothers, Luke Harper. But the momentum is set to come to a screeching halt. Harper will be hell bent on revenge and will have Erick Rowan this time too. They have been a dominant duo since their return and that won’t change Sunday. The WWE Universe hates Jinder Mahal. The WWE Universe also hates Roman Reigns. What will give on Sunday? That is hard to say, but I can tell you there is no way WWE’s preferred performer Reigns will lose to Mahal. Reigns is miffed over Mahal costing him a spot in the Money in the Bank Ladder Match. A Mahal win would certainly have to insert him alongside the serious contenders in the RAW locker room where he arrived following the Superstar Shakeup. But sadly, it just won’t happen. After being injured by Daniel Bryan, Big Cass recovered in time to join the Money in the Bank triple threat qualifying match (that Samoa Joe won). Cass attacked Bryan after that match, and thus the hostilities were in place to see these two go 1 on 1. Cass is obviously the bigger fighter but not the bigger man. He still appears very clumsy in the ring to me. Bryan will be highly motivated and pick up the win. 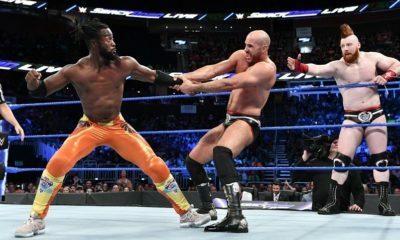 This match got its jump after the horribly awkward performance in which Sami Zayn brought out male actors to act as Bobby Lashley’s sisters in a segment on RAW a few weeks ago. Zayn has had no shortage of insults to throw Lashley’s way, and it was Lashley who proposed they settle the feud in the ring at Money in the Bank. Zayn seems like the more relevant name in this case and should get the job done. Wouldn’t surprise me at all if hijinks are involved.